Today I’m letting you in on the secret of how to watch FIFA World Cup with VPN from wherever you may be for free. The method is not only proven but the easiest. The Russia FIFA World Cup 2018 is approaching with every day that passes. And I can recall the events of the former World Cup. It seems like yesterday, and the memory is vivid. Group D was the group of death comprising England, Italy, Uruguay ( three former tournament winners), and Costa Rica. Indeed, England and Italy crushed out. The World Cup 2018 will feature 32 teams that’ll face each other in 12 stadiums across 11 Russian cities. Methinks group D with Argentina, Croatia, Iceland, and Nigeria fit the ‘Group of Death’ tag. Your thoughts? The most anticipated kickoff is set for 6 June, at Luzkhniki stadium in Moscow, the capital city of Russia. The finals will also take place at the same venue. Meaning Luzkhniki with all due respect will be the first among equals. You’ve anxiously waited for this moment for four years, right? If you do not consciously plan on how you will watch the World Cup, you might be in for a rude shock! I know we might be at different wavelengths. Let me try to adjust my frequency a little bit. The 2014 World Cup finals in Brazil attracted a global audience of 3.2 billion with the final game clicking upwards of 1 billion. Estimates indicate that the global audience for the world cup 2018 will be around 3.4 billion people. That’s almost half of the world’s population. Your ISP may result in throttling your internet traffic. Yes, it’s also referred to as ‘internet shaping.’ The ISP deliberately limits the maximum speeds for specific services. Like during the world cup, they may limit sports streaming so that if you connect to any streaming platform, your connection slows down while the rest of the services operate at near connection speeds. A VPN will encrypt your internet traffic and prevent your ISP from preying on your online activities. That way, your ISP won’t be able to know the websites that you access, and so they won’t throttle your internet traffic. A VPN will also provide you with ultimate privacy and security. It guards you against the ever-increasing online threats such as hacking, snooping, malware, and even the annoying ads. FIFA, the world football governing body, has conferred broadcast rights to different broadcasters across the globe. Some broadcasters won’t be streaming the world cup live. Meaning, it may turn out that in your region, there is no world cup streaming service. It may also be that the only available service is charging a leg and an arm. I can guess what you are thinking. The world is a global village. It’s a worldwide web. Meaning it’s connected and so with an internet connection you can stream the FIFA World Cup extravaganza from any corner of the world. Most streaming services limit access to their geographic location. It’s the internet, how the hell will they know you are streaming from abroad? Simple. Your IP address will give you away. Such streaming services deny access to any overseas IP address. It would also mean that for instance if you are a British citizen and you happen to travel overseas, you won’t be able to watch the world cup on BBC or ITV. I still insist you watch FIFA World Cup with VPN. Having said that, I have to inform you that not all VPNs will be useful. You need a tested VPN with the best streaming features. Here are the simple and proven steps on how to watch FIFA World Cup with VPN. 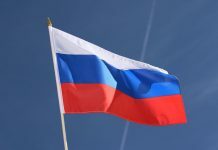 BBC iPlayer and ITV have the broadcasting rights of the Russia FIFA World Cup 2018 in the UK. And they will be broadcasting the World Cup to the public free. No matter your region in the world, you can use the best VPN for world Cup to unblock BBC iPlayer and ITV and enjoy all the world cup matches. BBC and ITV work on all devices that include Android, Amazon Fire Stick, Xbox, iPhone and many more. That’s why I settled on the two streaming services to show you how to stream FIFA World Cup with VPN. Viola! You can now watch FIFA World Cup with VPN. Isn’t it child’s play? In the US, Fox is the leading broadcaster, and they will be streaming all the 64 matches. 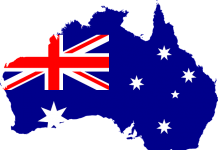 Sky has broadcast licenses in several countries around the world that include Germany, New Zealand, South Americas, and the Caribbean’s. Sky will be streaming all the 64 games. You will have to use a VPN’s IP address in the respective countries to unblock Sky and watch the world cup action. Lest I forget, in Russia, Match TV will be holding it down for football fans by streaming all the 64 matches. However, in the event you reside outside of Russia, you’ll need the best VPN for World Cup to unblock Match TV. The best way to watch FIFA World Cup with VPN is to use the best VPN for World Cup. NordVPN is that VPN. Indeed, it has all the features you’d require in a VPN service. The Panama based VPN is A strictly no logs service. Meaning you can stream the world cup safely and anonymously. 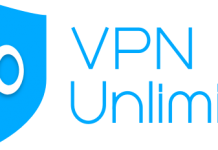 Additionally, the VPN provides you with the opportunity to use any of their 4,300 servers in more than 62 countries. That way you can unblock streaming services across the world. 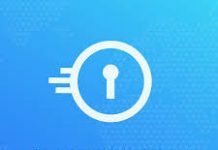 Equally important is the fact that the VPN has some of the best speeds in the industry and allows you to connect up to 6 devices simultaneously using a single account. Moreover, the VPN works on all devices. They have a limited three-year offer @ 2.75/month. It’s your golden opportunity to watch FIFA World Cup with VPN. If you decide to watch FIFA World Cup with VPN, CyberGhost is a VPN service that should be on your mind. Why? It’s a VPN that is improving its service continuously. They now allow simultaneous connection up to 7 devices. The speeds are incredible and they have some of the best apps in the industry. They have a strictly no logging policy. Furthermore, they are based in Romania, an excellent VPN privacy location and have more than 1300 servers in over 60 countries. They have a special one year offer @ $2.75/month. I’d advise you grab this opportunity while it still lasts and watch FIFA world Cup with VPN from wherever you may be. 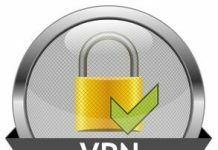 VyprVPN provides another excellent way to watch FIFA World Cup with VPN. Based in Switzerland, another superb VPN location, it provides you with easy to use apps. 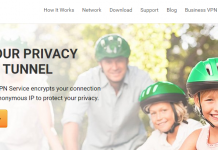 The VPN allows simultaneous connections of up to 5 devices using a single account. VyprVPN has more than 700 servers with 200,000 global IPs. They employ multiple protocols for encryption and also use the chameleon technology that’s good at preventing VPN blocking as well as throttling. They are currently offering a special world cup 40% off on all their annual plans. Though based in the US, IPVanish has a strictly no logs policy in place to protect your data from government snooping. The VPN exhibits incredible speeds in my various tests. They provide robust encryption to protect your data. I can confirm that they are now allowing simultaneous connection up to 10 devices using a single account. Which is the highest in the industry? So if you want to watch FIFA World Cup with VPN and you intend to connect to many devices using a single account IPVanish will do it for you. Now you know how to watch FIFA World Cup with VPN. Let’s indulge briefly in the respective world cup stadiums and fixtures. Want to get an insight into the Russia world cup 2018 Venues? Ok, fasten your seat-belt because this makes for a quick but fascinating ride. Luzhniki stadium seats in the capital city of Russia, Moscow. Formerly known as Central Lenin Stadium, this historic venue was built back in the year 1956. So how do you know its Luzhniki? There’s this gigantic statue of Lenin right at the entrance. Luzhniki has a history of hosting world-renowned games that include the 1980 Olympics, UEFA Cup finals in 1999, the 2008 Champions League derby between Manchester United and Chelsea, as well as the 2013 World Athletics Championships. The 81,000 capacity stadium will be the center of attraction. Otkrytiye arena popularly known as the Spartak stadium came into being in September 2014 as the home for the Russian Spartak club. The arena has a seating capacity of 42,000 and is estimated to have cost around $430m. First, there’s the imposing statue of the Thracian Spartacus erected in front of the Otkrytiye Arena. Secondly, the outward of the stadium features the Spartak’s white and red colors. Nizhny Novgorod stadium is situated in Strelka and is the most attractive of all the 12 Russia World Cup 2018 stadiums. It is strategic between river Olka and Volga in the western district of Nizhny Novgorod. The stadium has a seating capacity of 44,899 and is estimated to have cost $290m to build. If I were to rate the stadiums, I’d have a difficult time having to choose between Luzhniki and Nizhny Novgorod. It has gorgeous pillars that give it the Roman touch, and the roof features the Kaleidoscope pattern that makes it modern. What about the blue and white patterned seats, and the semi-transparent façade? This is it. Mordovia is the smallest of all the Russia World Cup 2018 stadiums. However, it’s brightly lit and features the rich Mordovia Arts and Craft. Besides, it’s a lovely place to take your memorable photos. Kazan is a modern, stylish sports stadium designed by Populous. If you like the Wimbley or the Emirate stadiums, you can understand what I’m talking about because those are other designs by the famous Populous. The Arena has a capacity of 45,379 and cost a whopping $439.7m. It won’t be the first time the Kazan is hosting an international tournament. As a matter of fact in 2015, Kazan was the venue for the World Aquatic Championship. Off course, they replaced the football pitch with swimming pools. So how do you know it’s the Kazan stadium? You’ll spot what the organizers are claiming to be the largest outdoor high definition screen covering 4,030 square meters! Situate at the Confluence of the Samara and Volga Rivers, Samara Arena seats at the former grounds of the Cosmos Arena-the historical Soviet Space Program. Built at a cost of $320m with 44,807 capacity, the Samara Arena has been in the news for delays, budget overshoot not to mention a fire incident. Be that as it may, the Samara is a beautiful scenery. In fact, it looks more like a spaceship. At night, expect to see a spectacular lit 65m high glass dome. A memory to behold. Ekaterinburg stands 1, 000 miles away from her one year older sibling Luzhniki. It’s famed for having hosted the World All-round Speed Skating Championship in 1959. I’m pretty sure you’ll like the art of work that is Ekaterinburg. However, I don’t know how you’ll feel about the temporary stands behind each goal post that protrudes outside of the stadium? In fact, the idea was a smart way to circumvent the FIFA rule that a stadium should have a minimum capacity of 35,000. Anyway thanks to the protruding-nay-swollen temporary stands, Ekaterinburg can do a 35,696 capacity. Krestovsky is the most expensive of all the Russia FIFA world cup stadiums. It took a whole decade to construct with costs rumored to run upwards of $1.7 billion. And it is the world’s most expensive stadium. The stadium boasts of an impressive 64,287 capacity, and the design resembles a spaceship. You’ll be able to view the Gulf of Finland, and I believe you’ll love the zenith blue that covers the vertical stands and seats. The Kaliningrad stadium was originally designed to resemble the Allianz Arena in Germany. However, the designs were altered after the company that drew the plans went bankrupt. Kaliningrad also referred to as the Arena Baltika lies on the Oktyabrsky Island, a former wilderness on the east side of the city. It’s a 35,212 capacity stadium that cost around $300 million. The Volgograd Arena seats comfortably on the site of the old Central stadium in the distance of the great Mamayev Kurgan complex. The 45,568 capacity $280 million stadium has a unique roof that resembles the spokes of a bicycle wheel or an expanding web. After the World Cup, the local club Rotor is set to take over the venue. Volgograd is on record for hosting the Russia Cup final on 9 May where FC Tosno beat Avangard Kursk 2-1. Erected on the banks of River Don, the stadium has a capacity of 45,145 and cost around $330m. The Rostov Arena is distinguishable for having a unique roof that imitates the meandering of the river. Of note also is the different height of the stands that make for a panoramic view of the Rostov-on-Don. The area has always been a darling for tourists owing to its unique local tourism facilities. Situate 18 miles out of Sochi; the Fisht stadium has a capacity of 40,000. It was constructed for the 2014 Winter Olympics and Paralympics. Fisht was the venue of choice for both the opening and closing ceremonies. The shape of an egg inspires its design and cost $779M. The Fisht stadium has a descriptive commentary for the blind and visually impaired fans. World Cup fixtures at the Fischt Olympic Stadium. Shhh! I just shared with you a secret of how to watch FIFA world cup with VPN. I’ve personally tested all the VPNs that I recommend in this review. Apart from streaming the world cup, they are also excellent at unblocking streaming services such as Netflix, Hulu, and many others. If you like torrenting, you are in luck because the same VPNs are masters at torrenting. And if you are headed to Russia for the 2018 FIFA World Cup, I’d advise you read my review on the best VPNs for Russia to know how to circumvent Russia’s massive internet censorship. The argument is that the VPNs will be useful even after the world cup is over. Above all nowadays, it’s no longer safe to browse the internet without securing the privacy of your communication. Hence, World Cup or no World Cup, a VPN is a necessity. I feel sad that I won’t be going to Russia to watch the Fifa World cup. Anyway, I’m happy that I can use a VPN to securely watch the world cup online. Thanks for this review, Nicholas. I didn’t know which VPN to go for, but now I know it’s NordVPN! True Mercy, Nord is the best VPN that provides real value for your money.